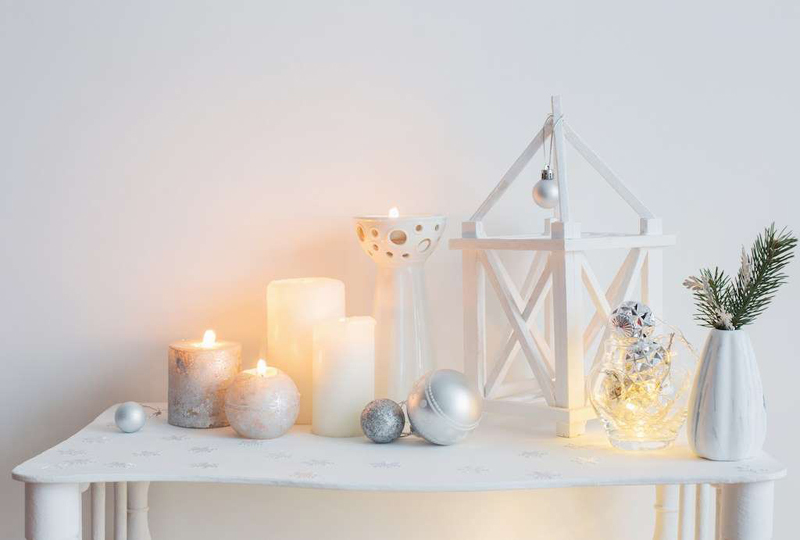 We tend to associate festiveness with Christmas, but who doesn't want to fill their home with cheer all year round? There are ways to make your humble abode warm and inviting without investing a huge amount of time or money. From color upgrades to touches of texture, it's easy and affordable to keep your home festive, no matter the season. 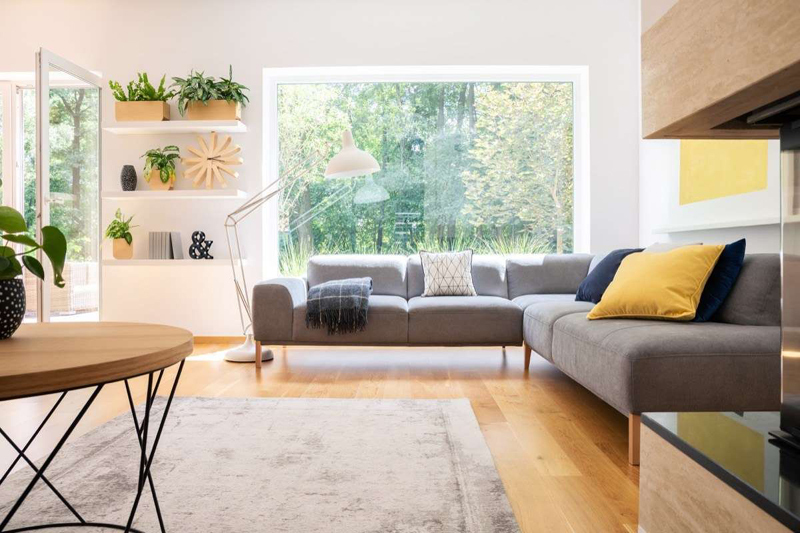 So, to ensure that you're keeping it cozy, check out these simple décor tricks that'll give your home an instant upgrade. And for more ways to spread the warmth, check out these 15 Easy Ways to Transform Your Home into a Winter Wonderland. To make your home truly welcoming, bring some of the outdoors in, says Ron Radu, founder of Léon & George, a houseplant décor startup. Amateur gardeners should start off with succulents since they’re relatively easy to care for and still provide the same ambience. And for more specific plants to add to your home immediately. 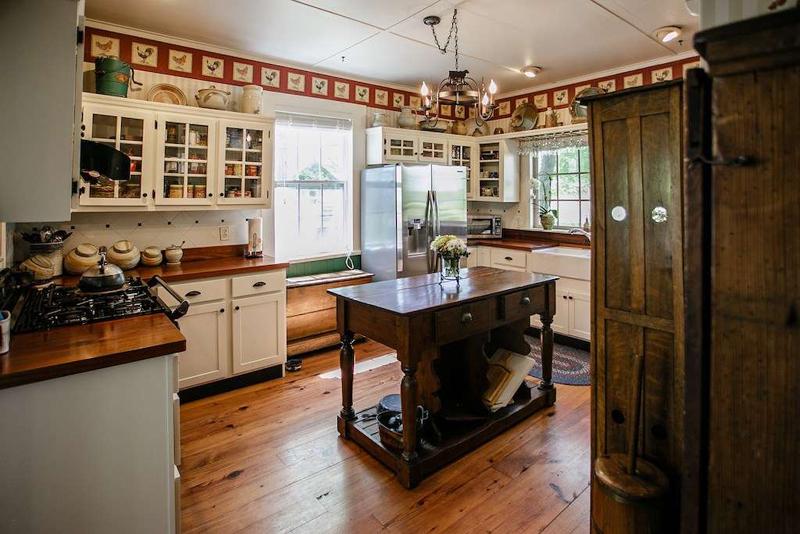 The most interesting and inviting homes often reflect the unique people who live in them, according to Heidi Erickson, artist and owner of MountainTown Art. 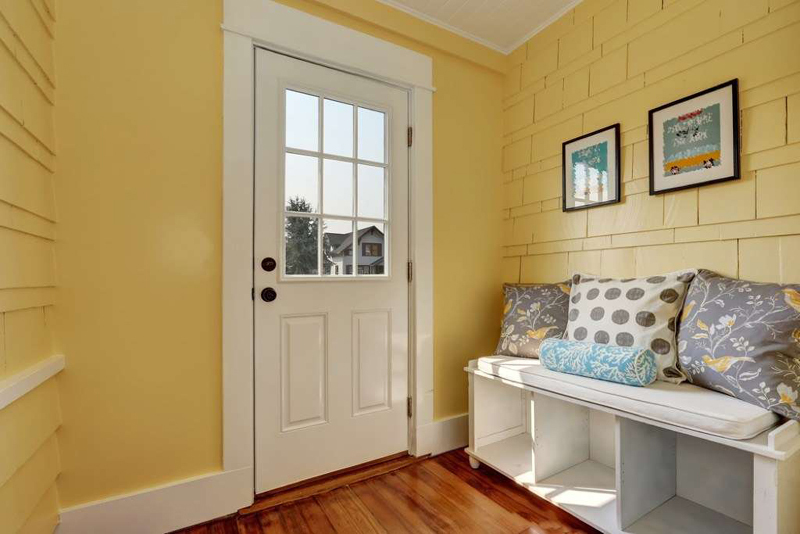 One of the most important places in the home to consider is the entryway. And in the winter months, when you need a place to kick off your snowy boots, it’s that much more pivotal, says Debbie Gartner of The Flooring Girl. “Create a comfortable area to take your boots and shoes off,” she says. “A comfy bench with cushions will do the trick. Make sure there is a place to put your shoes, and have warm slippers that your guests can use.” And for more ways to make winter the best season in your home. “Accent the room with a sliding barn door, galvanized tin windmills, and farmhouse signs,” she says. “Serve some tea or hot chocolate in mason jars to bring it to the next level.” And for some spiked options. 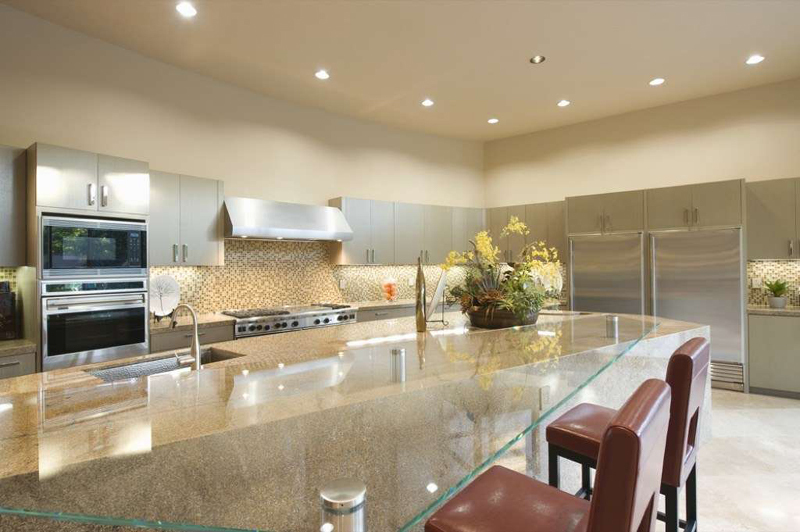 Since direct lighting can be harsh, Steve Brielmaier, founder and CEO of Lamps USA, suggests employing dimmers. “Bright, direct lighting can be intimidating and uncomfortable. So we should aim for the contrast with soft, relaxed lighting to create that desired welcoming effect,” he says. Brielmaier suggests indirect lighting, lighting projected on a focal point, and a dimmer switch to make things more relaxing. As fans of Marie Kondo’s Tidying Up likely already know, clutter can give a terrible first impression. Like Kondo, Milana Perepyolkina, author of Gypsy Energy Secrets, says the fewer possessions you have in your home, the better. 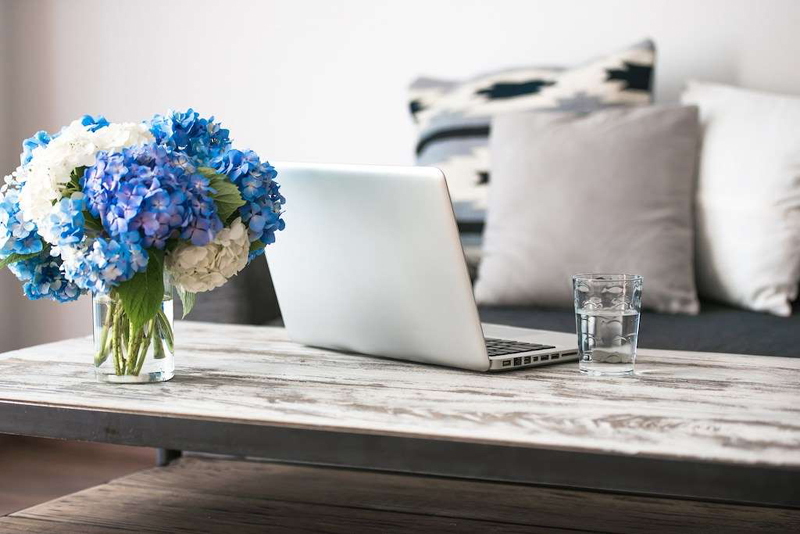 “Make sure your home has only the most valuable items that you cherish and use often to ensure that you get that feeling of comfort each time you enter your home,” she says. “Keep only one or two items on top of the tables, shelves, and nightstands. 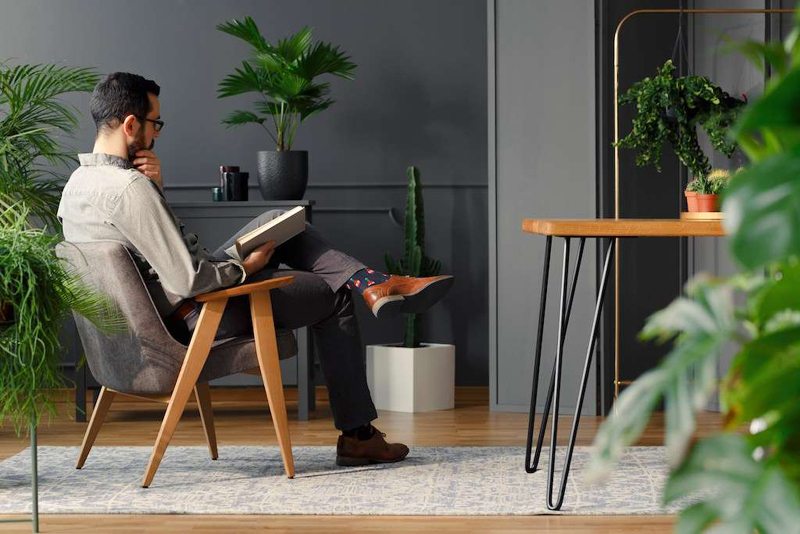 Bring your home to life with textured items like rugs, wood accents, and wall decor, says Austin Alvarez, co-founder of Building Our Rez, a home and DIY blog. “Add warmth to your home design aesthetic with wood textures and tones,” he says. 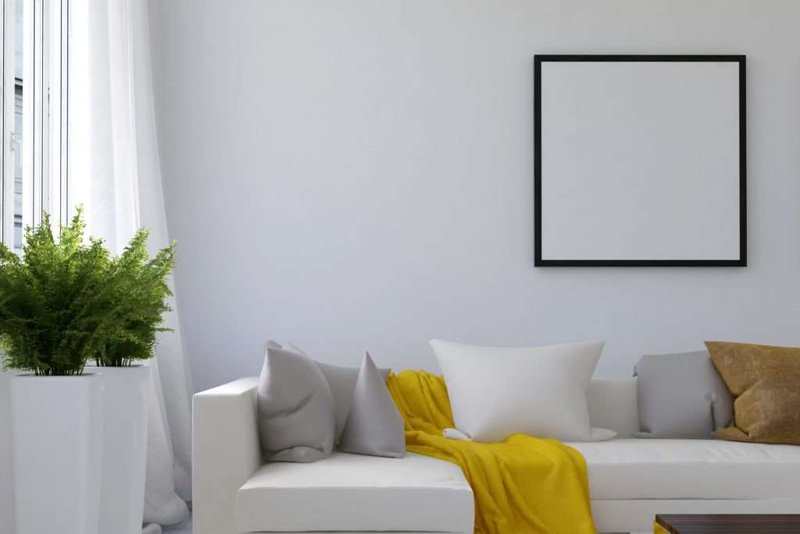 By adding unexpected textures via your walls and home décor accents, you’ll inject warmth into your home. According to interior designer Tobi Fairley, one easy way to add warmth and texture to your home is to layer your furniture with plenty of pillows and throw blankets. 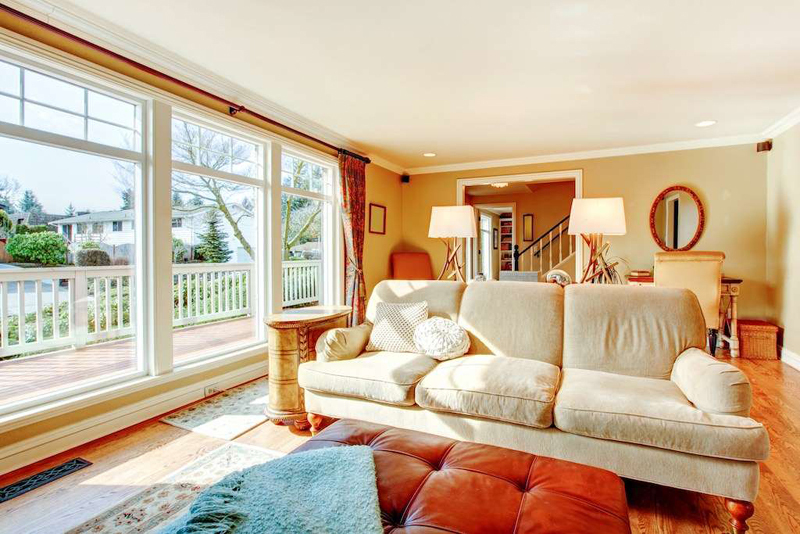 She suggests investing in a number of throw pillows in different sizes and textures to create a super cozy interior. And when you’re not using them, you can store them in an oversized basket. 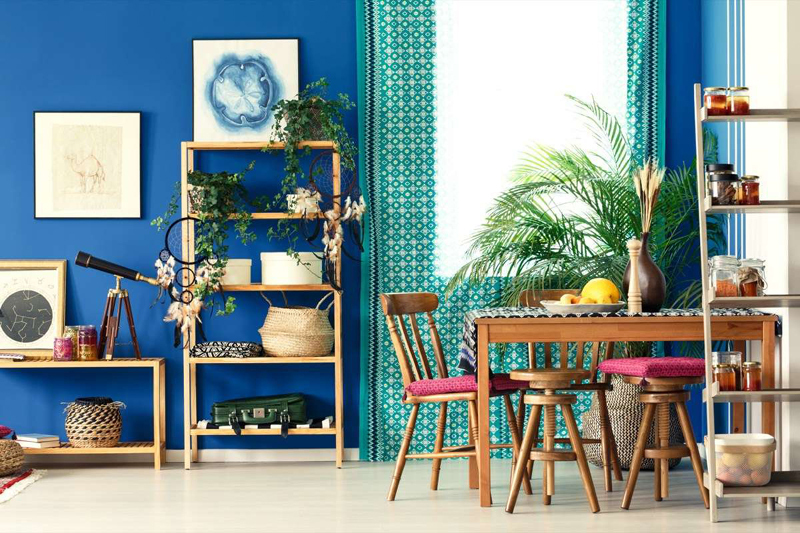 Lavinia Patrascu of Freshhome says warm colors are the way to go, no matter the season. 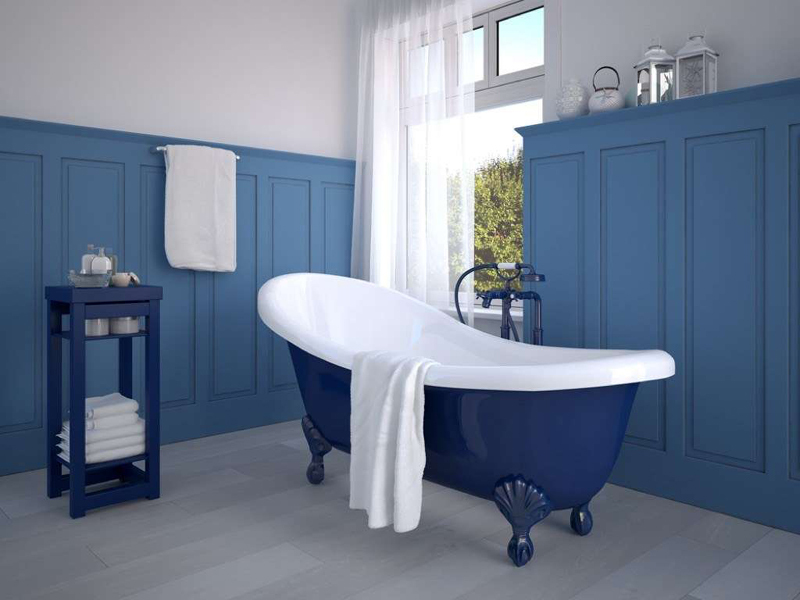 “While cooler colors like blue, purple, and dark green can visually enhance a room, warmer tones such as peach-orange, brown, and red can make a space feel more compact and therefore. The bathroom is one room that every guest will inevitably use. Making yours an inviting place is both pivotal and easy, according to Bustle‘s Toria Sheffield. Ensure that the toilet paper is fully stocked, the soap dispenser is full, and there are clean towels for drying your hands off. For added comfort, keep an air freshener on hand that’s fitting for the season. 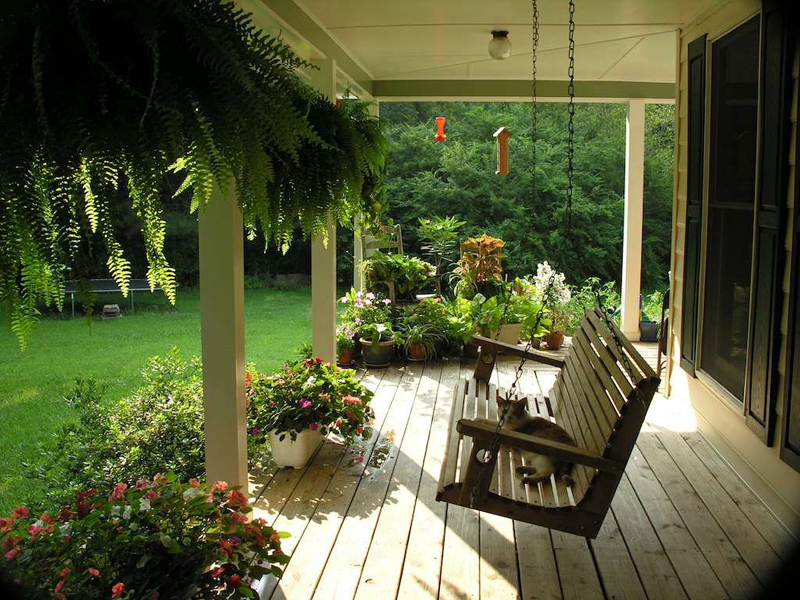 To add a touch of warmth before anyone even steps inside your home, add a wooden swing to your front porch. Throw on some pillows for texture, and take your guests out to the porch in the warmer months for a pre- or post-dinner drink. They’ll love sitting on the swing and enjoying the ambience—cozy outdoor space is a real crowd pleaser. And for more ways to improve your home’s exterior, check out these 40 Simple Tricks for Boosting Your Home’s Curb Appeal.